Marleni is using Smore newsletters to spread the word online. The talking drum is a West African Hourglass drum whose pitch can be regulated to mimic the tone and prosody of human speech. 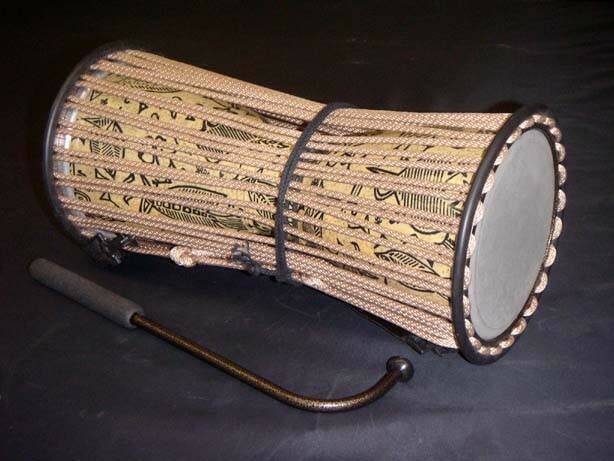 Other talking drums of conical or tubular construction exist around Africa, but they are rather known by their particular names "talking drum". centering on the talking drum. Many variants of the talking drum exist, with essentially the same construction. Interestingly, this construction is limited to within the contemporary borders of West Africa. The use of talking drums as a form of communication was noticed by Europeans in the first half of the eighteenth century. Detailed messages could be sent from one village to the next faster than could be carried by a person riding a horse. They will get send their message from village to village and they will get it faster is ways a way of communication they had. Various sizes of hourglass talking drum exist, with the dimensions of the drum differing between ethnic groups, but all following the same template. The pitch of the drum is varied to mimic the tone patterns of speech. This is done by varying the tension placed on the drum head the opposing drum heads are connected by a common tension cord. The waist of the drum is held between the player's arm and ribs, so that when squeezed the drum head is tightened, producing a higher note than when it's in its relaxed state. The pitch can be changed during a single beat, producing a warbling note. The drum can capture the pitch, volume, and rhythm of human speech, though not the qualities of vowels or consonants. I would like for you to buy the talking drums because they are just wonderfully, also you can experience the sound it makes and learn something about the music history also because it will be great to have one talking drum at your house. because single words would be translated into phrases for example, ″moon″ would be played as "the Moon looks towards earth" and "war" as "war which causes attention to ambushes". So I believe that is a something really cool to learn because it is also like another language. Playing styles are closely linked with the drum's construction and the tonal qualities of each language. There is a clear difference in playing styles between areas with predominantly Fulani and Mande speaking populations and traditionally non Mande areas. Do you think it will be great to learn and have a Talking Drum? I should do.